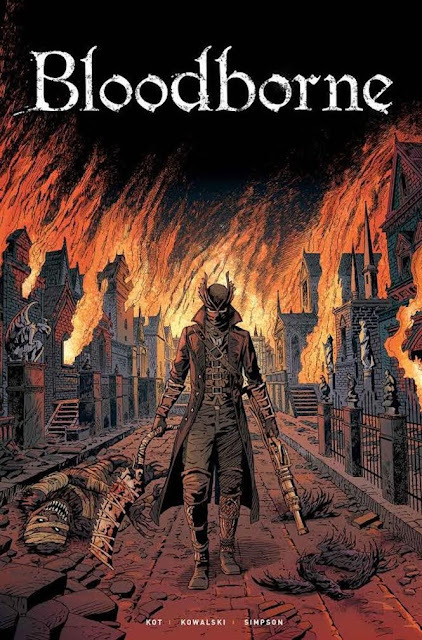 Dr Jengo's World: Bloodborne Comic announced for 2018! 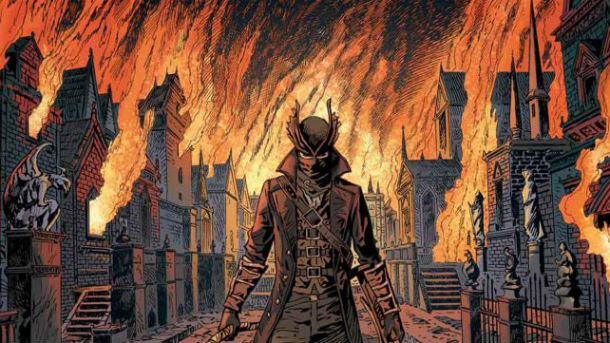 Titan Comics is teaming up with Sony to bring fans of Bloodborne, a Comic series; Bloodborne: The Death of Sleep. Set to be released in February 2018, the series will be wrote by Ales Kot, with Art designed by Piotr Kowalski, who also worked on other Videogame-based comics, Wolfenstein & Dark Souls. The story will "a nameless Hunter that awakens in an ancient city where horrific beasts stalk the shadows and the streets run slick with the blood of the damned. Seeking an escape from the endless Night of the Hunt, the Hunter embarks upon a dangerous, gore-filled quest with the hopes of ending Yharnam’s twisted endemic". "Bloodborne is one of my all-time favorite games. I put close to two hundred hours into playing it and researching its universe, and that was before I even knew there would be a comic -- I was obsessed,” said Bloodborne writer Ales Kot as part of the press release. “I am honored to be working within the Bloodborne universe. There will be mystery, the weird, the eerie, the horrific and the bloody -- and there will be an undercurrent of decaying romanticism, walking hand in hand with brain-mashing, soul-cleaving action, together ascending towards the Blood Moon as drawn by the talented and depraved Piotr Kowalski. Ascend with us, Hunters old and new. And do remember -- one has to seek Paleblood to transcend the hunt." Here's the cover art of the first issue..
Looks good! I still haven't started on Bloodborne but I really liked the art style and themes of the game from playing the demo. Will need to get into it soon to enjoy the lore that will be expanded in the comics. I know some of you guys would be really excited about this comic announcement. Do you plan to get it?